Port West is a highly sought after 90 hectare industrial estate at the Port of Brisbane, located only 6 km from the main container terminal facilities. The estate has already been developed for a variety of uses, and is an ideal location for warehousing distribution centres, third party logistics providers and transport operators. Port West is home to Bunnings, Australia’s leading retailer of home improvement and outdoor living products, under a 10 year lease and Stora Enso, a leading provider of renewable wood and bio-material products with global operations. They will soon to be joined by Queensland Glass and Steelforce, with construction commencing in 2018 for both businesses. 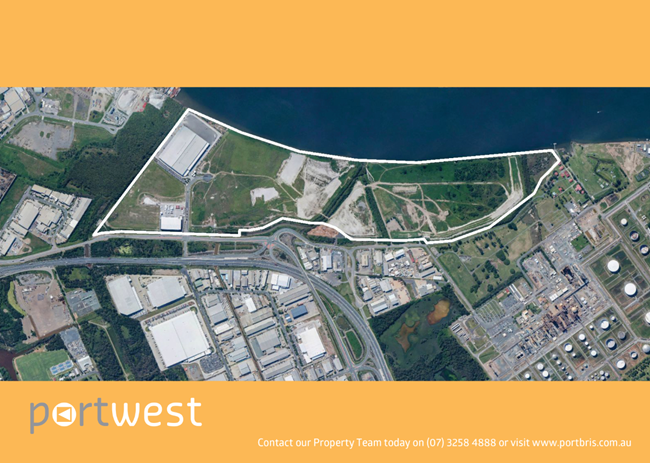 The Port West Estate enjoys excellent transport connectivity, located in the heart of one of Brisbane’s most sought after logistics locations in Lytton and only five kilometres from the Gateway Motorway.